ONLY 29.99 a year!! no additional or after sale fees! Unlimited listings! Shops, consumers, and manufacturers can all sign up! Sell anything bike related! Sign up and start selling quickly for one low cost of $19.99 a year! Sign up below and start selling TODAY! Questions? 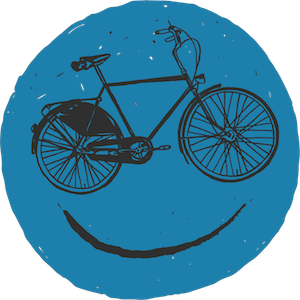 click the live chat link below or email hello@bike2020.com and we'll be happy to help out. Have your products listed in minutes! Credit card required for initial setup. Credit card will be charged $29.99 for your first year membership upon account setup. You may cancel your subscription at any time. Sign up in minutes and expose your inventory to a world of new buyers for only $29.99 a year. You get unlimited listings, each with: 5 hi-res photos, 1 video, and a URL link to your website, email & social media marketing, unlimited blog posts, and live web statistics. Support available via. live chat, email or phone. No additional fees or commissions on sales ever. The credit card that you provide to us when signing up will be automatically charged without notice on the same date as the original transaction / sign up date on each corresponding month or on final date of month if no corresponding date (January 31, 2015 subscription renews on February 28, 2015). Tenaries, Inc. / DBA BIKE2020.com may terminate the subscription and these terms if it is unable to renew the subscription based on inaccurate or outdated credit card information. Right of access to BIKE2020.com granted under these terms is effective only upon successful payment of the subscription fees. Tenaries, Inc. / DBA BIKE2020.com may increase subscription fees for a subsequent subscription period at any time and for any reason, provided, however, that Tenaries, Inc. / DBA BIKE2020.com provides notice at least thirty (15) calendar days prior to the expiration of the subscription. All listings are subject to review and may be removed at our sole discretion for any reason. Listings may include cycling related hard goods, shoes, helmets, cycling clothing, and and full gruppos. Other soft goods such as nutrition and misc parts including racks, ligiting, and locks are not permitted. Please contact us for any questions. External URL links may ONLY be re directed to the exact product on your store website, your store website, OR the exact product on the manufacturers website. Links directed anywhere else including to third party seller sites will be removed. Tenaries, Inc DBA Bike2020.com may at anytime terminate or suspend your account if at our discretion feel you have violated any of our terms and conditions. you may contact us anytime by emailing hello@bike2020.com and we will do our best to respond the same business day.